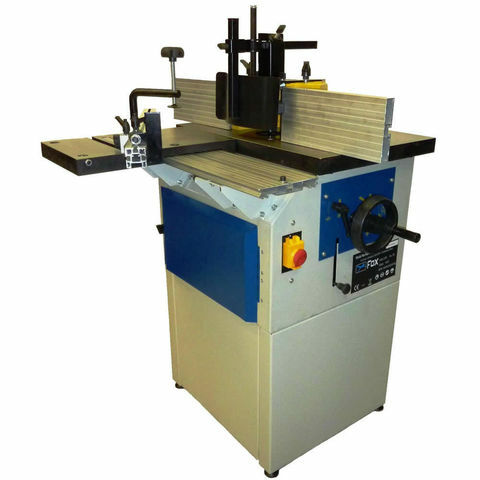 The Fox F60-105 Spindle Shaper is a well made with a cast iron sliding carriage. It is a well thought out, industrial quality machine while remaining compact enough to fit into the smallest of workshops. There is a cast iron table with a dust hood and a sliding carriage with bearing runners for smooth operation. The large 1500W motor generates 2hp and two speeds - 4500/6500rpm for material specific working.